Tagged under Puella Magi Madoka Magica, Waifu, Short Hair, Brown Hair, Glasses. 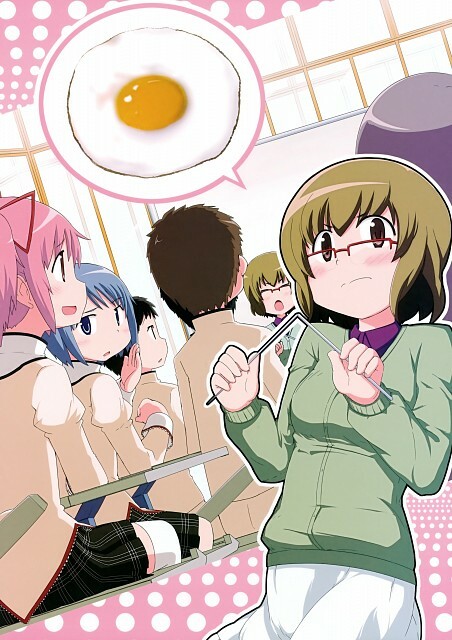 Kazuko is the only female teacher we see in Madoka, Sayaka and Homura's class. She often gives her students life and dating "advice" which is actually thinly veiled, passive-aggressive criticism towards men that stems from dissatisfaction in her own romantic life. In one episode she is seen drinking at a bar and implied to be old friends with Junko Kaname, Madoka's mother.